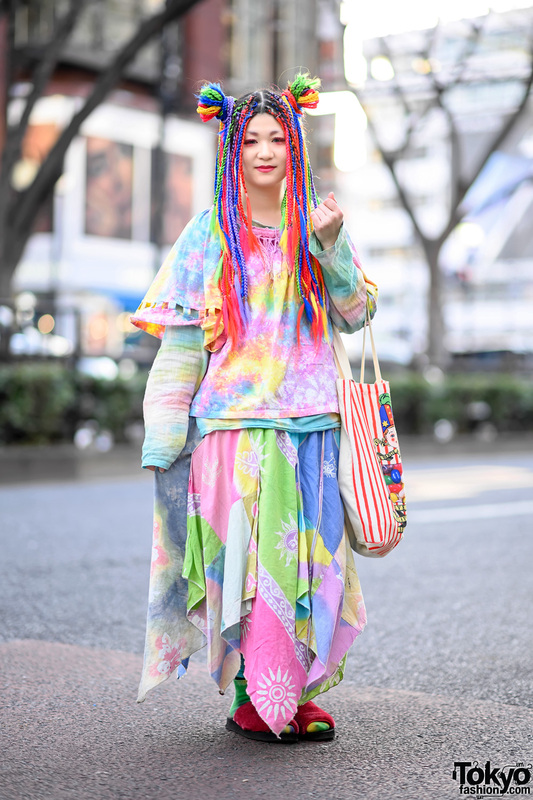 Here is a colorful look featuring traditional Japanese fashion that we spotted on the street in Harajuku recently. 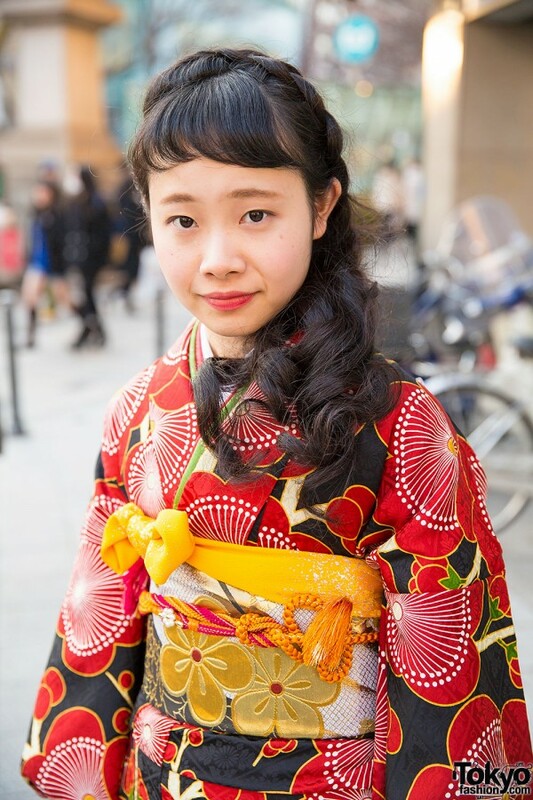 The brunette young woman – with a braided hairstyle – is wearing a beautiful red floral print kimono with a floral print obi features lots of gold details and a pretty bow. This is SOOOOOO beautiful. I wonder if she was dressed for a special occasion or…? Cool hair and cool kimono. Omg! I love the kimono. It’s so cute. Also I do love the flower print design as well. I wish I have a cute kimono dress. 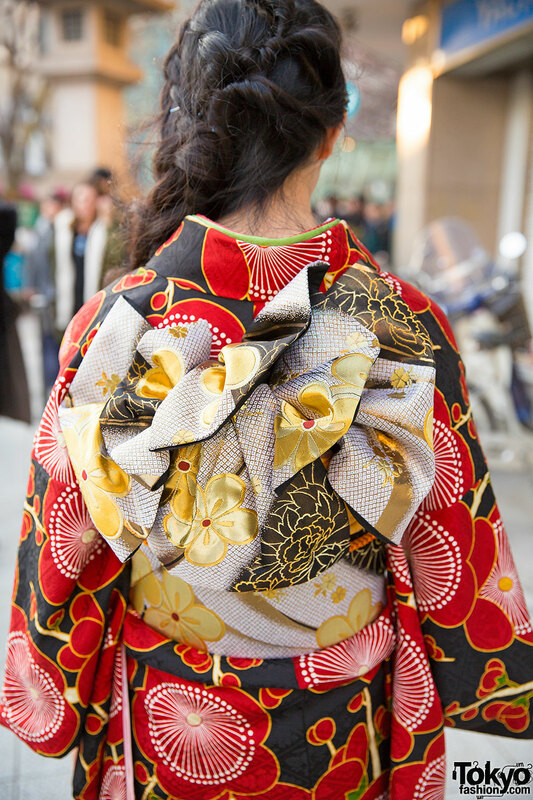 That will be really cute to have a kimono dress.